Complex and stylish. This wine is bone dry, yet exhibits a lovely sweet fruit character on the palate, with a lovely long finish. Complex and stylish, with aromas of ripe blackcurrant, dark chocolate, and pencil shavings. This wine is bone dry, yet exhibits a lovely sweet fruit character on the palate, with a lovely long finish. We do not buy in any grapes and all wines are bottled on the estate to maintain absolute control over every aspect of the wine production. The terroir in combination with Gyles Webb’s winemaking style results in flavourful, flamboyant, complex and long-lasting wines with a distinctive South African character. In 2000, Gyles moved into the role of cellar master and handed over the winemaking duties to the talented Rudi Schultz (one of the famous Schultz winemaking brothers). 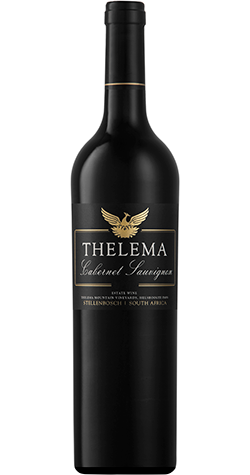 We hope you enjoy our wines and it would be a pleasure to welcome you at Thelema for a chat and a taste of our latest release.